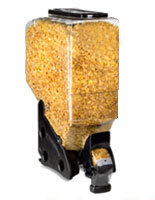 Industrial Carts with Smooth Casters are Used in Many Different Businesses. 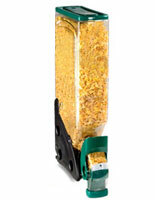 These Units are Ideal for Moving Merchandise in Retail Store Locations. 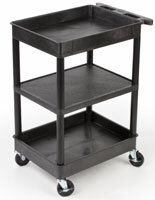 Industrial Carts for Janitors are also Used for are Housekeeping Needs. 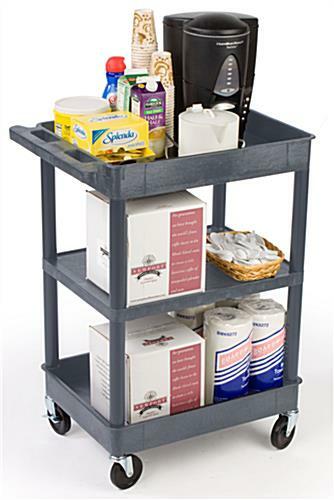 These industrial carts are often used in hotels by not only the facilities managers but by the housekeeping staff and the food service team. These rolling tray are highly versatile. 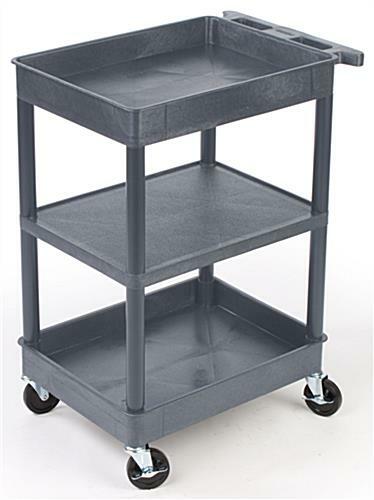 The industrial carts with gray color can be used in nearly any environment. 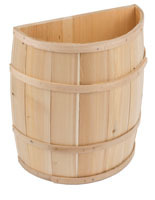 These units have three shelves; the top and bottom shelves have a 2-3/4” lip around them to produce a “tub” effect. 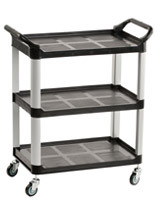 The industrial cart with three shelves has a flat middle shelf for easy loading of heavy objects. This manner of cart can be used in just about every facet of industry from retail to restaurant and form catering to housekeeping. Please note: Industrail carts need two people for assembly. Rubber mallet and hardware necessary for assembly are included. 18.0" x 40.5" x 17.5"